Evoluz Translation Services offers professional Hindi translation services for English to Hindi and Hindi to English language combinations. 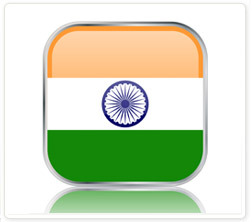 We can also translate Hindi into over 100 other languages. In fact, Evoluz Translation Services has pioneered to be one of the agencies in the industry to translate Hindi to literally any language. Whatever your Hindi translation requirement is, we are confident that our translation team is experienced and qualified to handle the project to your highest satisfaction. Your satisfaction is guaranteed as our Hindi translators have the knowledge and expertise of using the appropriate terminologies needed for documents from different subject areas. We have excellent Hindi project management team and quality assurance editors who can localize any content or document. Our Quality Managers are assigned to specific projects as per their area of knowledge and experience. This will give you peace of mind as your documents are quality controlled by the best in the business. Variety of Services: Our other services in Hindi to English language combination are Hindi interpretation, voice-overs, transcriptions, and multilingual search engine optimization. Region where spoken: Throughout northern India: Delhi; Uttar Pradesh; Rajasthan; Punjab; Madhya Pradesh; northern Bihar; Himachal Pradesh. Also spoken in Bangladesh, Belize, Botswana, Germany, Kenya, Nepal, New Zealand, Philippines, Singapore, South Africa, Uganda, UAE, United Kingdom, USA, Yemen, Zambia. Countries where spoken: 180,000,000 in India (1991 UBS), 363,839,000 or nearly 50% of the population including second language users in India (1997 IMA). Population total all countries 366,000,000 first language speakers (1999 WA), 487,000,000 including second language users (1999 WA). Nepal, South Africa, Uganda. Summary: Formal vocabulary is borrowed from Sanskrit, de-Persianized, de-Hindiized. Literary Hindi, or Hindi-Urdu, has four varieties: Hindi (High Hindi, Nagari Hindi, Literary Hindi, Standard Hindi); Urdu; Dakhini; Rekhta. State language of Delhi, Uttar Pradesh, Rajasthan, Madhya Pradesh, Bihar, Himachal Pradesh. Languages and dialects in the Western Hindi group are Hindustani, Haryanvi, Braj Bhasha, Kanauji, Bundeli; see separate entries. Spoken as mother tongue by the Saharia in Madhya Pradesh. Hindi, Hindustani, Urdu could be considered co-dialects, but have important sociolinguistic differences. National language. Grammar. SOV. Devanagari script. Hindu. Bible 1818-1987.